Anyone can do whatever they want with these mods (including continue them) so long as credit is given to myself for the existing models and Boogaman for their Enterprise bridge. Unfortunately I no longer have any of the project files, so I don't know how easy this would be to update, but feel free to try. The SciFi Shipyards mod includes Snjo's Firespitter plugin for sounds and plane functionality. 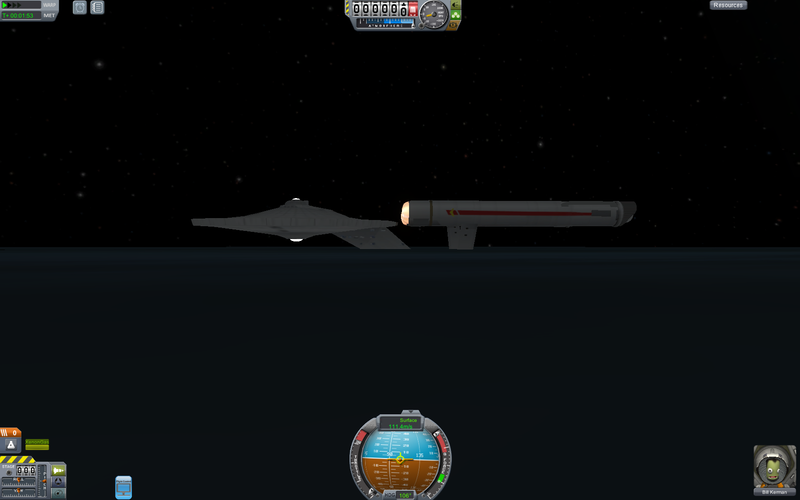 The Enterprise bridge was made/given to me by Boogaman to put in this mod. Thank you to both these people. Or at least a Dyson ball. Back on topic, this thing looks awesome, can't wait to hyperedit it into space and reenact some scenes. I Actually need some ideas for what I'm going to do next. I've been thinking of doing the Enterprise D next, because that, personally, would be the first thing I'd want out of a Star Trek mod. I just did this first because it looked easier. I still would be open to suggestions. The Dyson sphere might be a bit big, as It's the size of a planet. Borg ships are still a possibility though. I just want to finish the Enterprise of the generation before I work on other things from the same time. Also, just for fun I but a green tint on the enterprise. The Defiant in spatial interphase? Maybe I should do the matching ship to go with it. It'd be easy, perfectly symmetrical, simple texture. It would probably only take a day. How about some of the smaller star trek ships, such as a Runabout, Klingon Bird of Prey,or a Jem'Hadar attack ship? Jeb: Miss Bill, take us out! I was thinking of doing a Bird of Prey, but first I must make the Enterprise D. It is essential. I'll stop posting and go do that now actually. I Actually need some ideas for what I'm going to do next. Well, since you did such an excellent job on the Enterprise ("No bloody A, B, C, or D (or E)!" 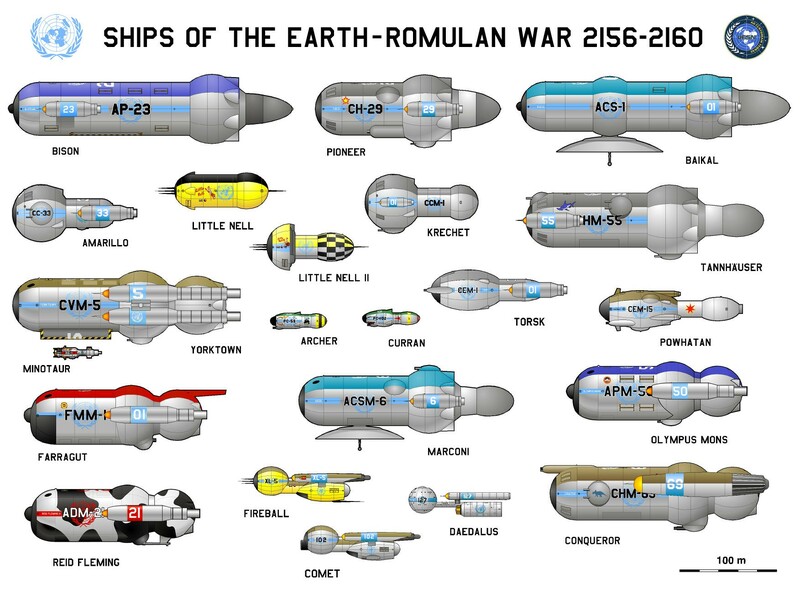 to paraphrase Scotty), how about some of the 'semi-canon' TOS starships? That is to say, the ones in the good old "Star Fleet Technical Manual". Most specifically, the Saladin-/Hermes-class, Ptolemy-class (and perhaps some of the Ptolemy cargo modules? ), and the ever "epic" Federation-class, and the pre-TOS but still TOS-like (and quite canon) Daedalus-class. If you want more ideas -- for TOS era Star Trek ships -- there's the Mark VII shuttle, the conjectured TOS-style Miranda-class, and Space Station K7. I hope that picture isn't too big; I have no idea how to resize it. JJ Abrams can go burn in a fire, along with his execrable reboot. Replaced photo, made it a link to the site its from. I thought the Galaxy class was more iconic and more people would recognize/know it. I'll keep all this in mind after I do the Enterprise D. Thanks for all the information! You'll need to save the picture to your own Imgur or Photobucket account. Masao hasn't allowed hotlinking to his site for years. The Dyson sphere might be a bit big, as It's the size of a planet. Actually, a Dyson sphere completely encloses a star and any planets inside the habitable zone. If we built one in the Sol System, it would be about 2.4au in diameter....bit bigger than any possible planet. The maker of this mod is called as God! This thing is nuts. I just took a trip to Jool by selecting Jool on the map, then steering the ship toward it and accelerating. The trip took about a day. Then I went to Eeloo and back to Kerbin. Total time for the trip was about 78 days but most of that was in a really eccentric orbit around Eeloo. Cool mod! Glad it works as intended. As requested on the Spaceport page I have included each part separately so you can customize anything! Just don't expect it to fly. I've also gone ahead and added the "spatial interphase" version which glows. Here's an album of some ships I've created, and here's the Spaceport page. One of the ships is a Sovereign-ish ship, while the others are completely random. Feel free to post your ships here! Darn, when I just downloaded version 0.1 version 0.2 comes out. Darn it. Hey you stole my idea!!! Lol jk jk but did u get it from me?? Yes, I just fixed that, as Jack Wolfe mentioned below (the post of yours I'm responding to, and in my response to him, which is further below in this) Masao doesn't let people hotlink his site, so I just replaced it with an Imgur link. So yeah, problem solved. 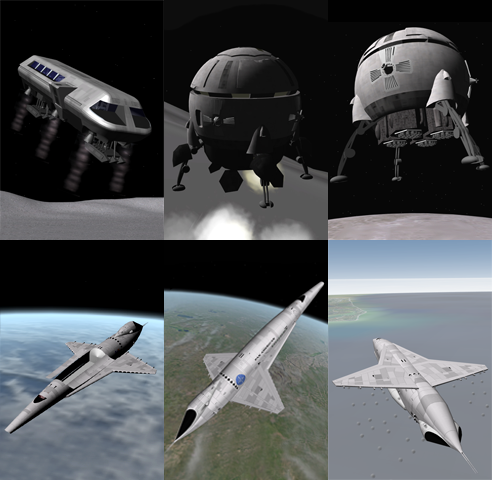 I don't know if you are still open to ideas; but if you are interested, Stanley Kubrick and Arthur C. Clarke had some absolutely lovely spacecraft designs in 2001: A Space Odyssey; specifically the Orion series spaceplanes (and flyback booster), the Aries series moon shuttles, and the tiny little "Moon Bus". Here's a photo of the things (taken from the "World of 2001" add-on for Orbiter). There's also the Discovery as well, but you can create an effective clone of it using parts already here on the forums. Ah, now that I did not know. Any way, replaced the original link to a copy of that pic on my (newly registered) Imgur. EDIT: The Enterprise is strong enough to survive a 2 KM/S water impact?